Our many gardens and natural areas provide an ideal setting for brides-to-be looking for an attractive outdoor venue for their nuptials. The property features natural setting lake front views, two gazebos, a small pond, and numerous glades and meadows. 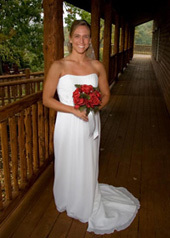 Rental includes access to the restrooms in the Bengel Wildlife Center. Go to our Wedding Page to ﻿Learn More﻿. 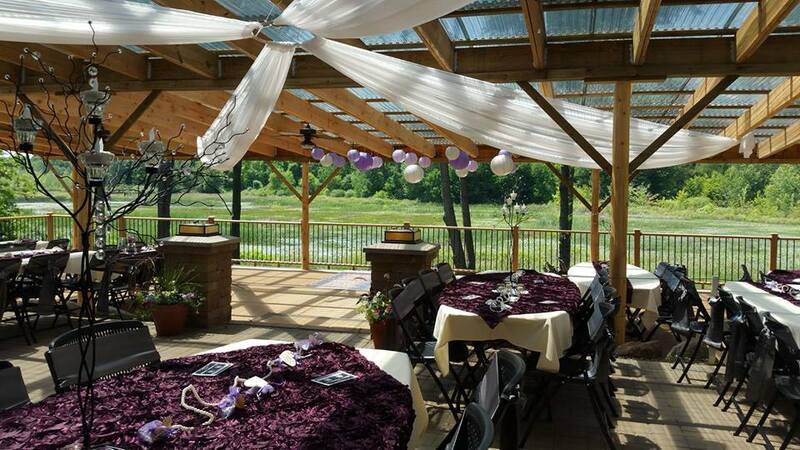 If you are looking for a relaxed, natural setting for your outdoor wedding, the Bengel Wildlife Center is the perfect venue. Whether in one of our beautiful gardens or on the upper deck overlooking Priggooris Lake, we can provide a wonderful location for a romantic outdoor ceremony. 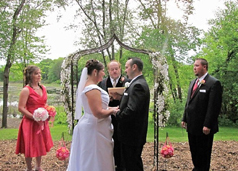 You can provide your guests with an "Up North" feel in the heart of mid-Michigan. 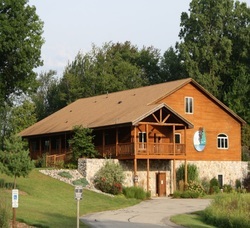 The Bengel Wildlife Center is a rustic, yet elegant setting among woods, ponds, gardens, and wetlands. 259 acres of nature are yours to enjoy for the day. Your wedding will be an occasion to remember forever! In the event of inclement weather, we have indoor space available to accommodate your wedding and guests. With a magnificent fieldstone fireplace, air conditioning, ample room for seating, and cedar log interior,the Anderson Great Hall can serve as a beautiful back-up venue for your outdoor wedding. Thank you very much for allowing us to have our special day at such a beautiful location. It was a perfect day and place for us to get married. And thank you for all your assistance in making our day go smoothly. Just wanted to say again how thankful we were for all the work and time you did to make Melissa’s day as perfect as it was. The wedding was absolutely GREAT!